Book your overnight Inn Walden accommodations now to December 2018 and receive 20% off your reservation. Must be booked online through link on Monday only. 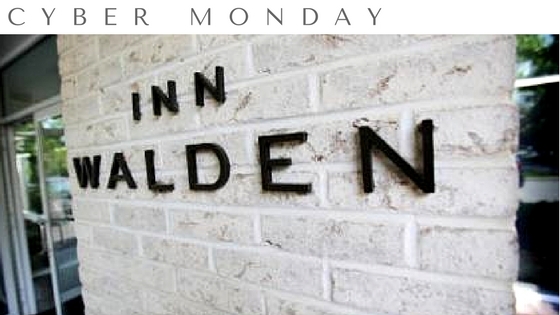 Include CYBERMONDAY in the comment section of your online reservation Monday, November 27th to have 20% discount applied to your stay. Promotion is valid now until December 30th, 2018 (excludes New Years Eve 2017 & 2018) Promotion does not apply to packages and can not be combined with other promotional discounts. All rates are subject to applicable taxes.